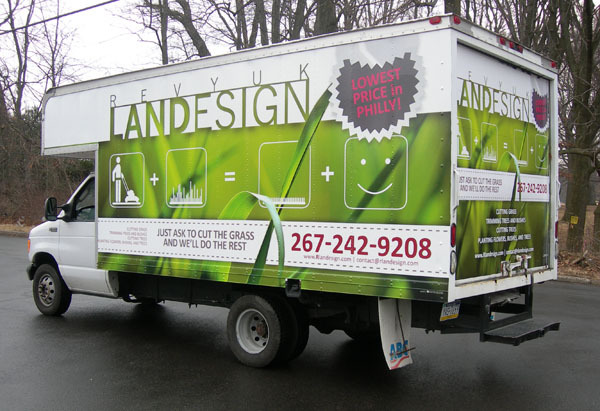 This week we completed a Box Truck "Land Design" Wrap. This Vehicle came to us with all types of Graffiti on it. When we were done with it, it left our shop looking like a brand new Truck! This particular client is branding his company using all types of marketing materials such as business cards, flyers and now he has a Wrapped Vehicle which will get thousands of views per day. This was the first Vehicle from their fleet of many. They plan to wrap few other trucks and vans to keep the branding consistent.